I'd say that's not terrible. The recommended spec is getting up there a bit, but the minimum is fairly baseline for a gaming PC these days. And since we're all here anyway, here's the official Ermac trailer, released earlier this week, in which he beats on Sub-Zero until candy comes out. Enjoy! 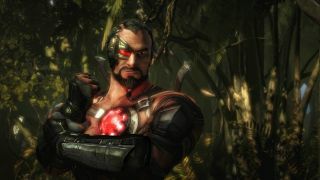 Mortal Kombat X comes out on April 14.